Create a professional website with our custom Tumblr themes. Need more assistance? Come ask questions to our community! 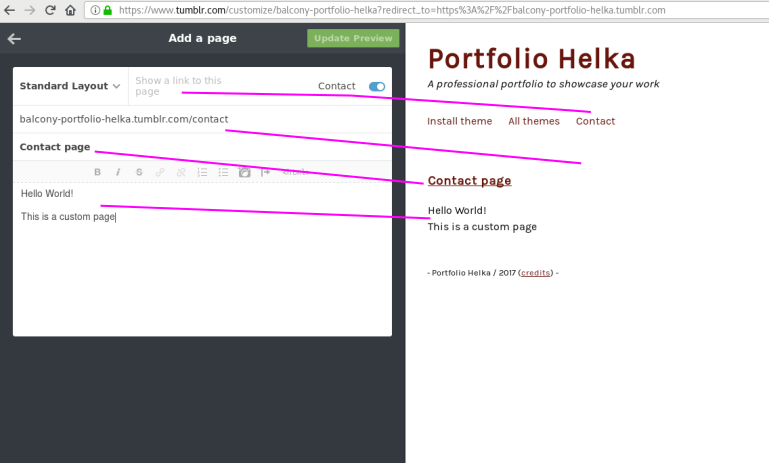 Enter your blog information in the new page, click “create blog”; voilà! Your blog URL is located under your blog username. You can right click on it and “open the link it in a new tab”. Click the “All themes” link, or select a theme on this page. “install”, and select on which blog you want to install and use this theme. 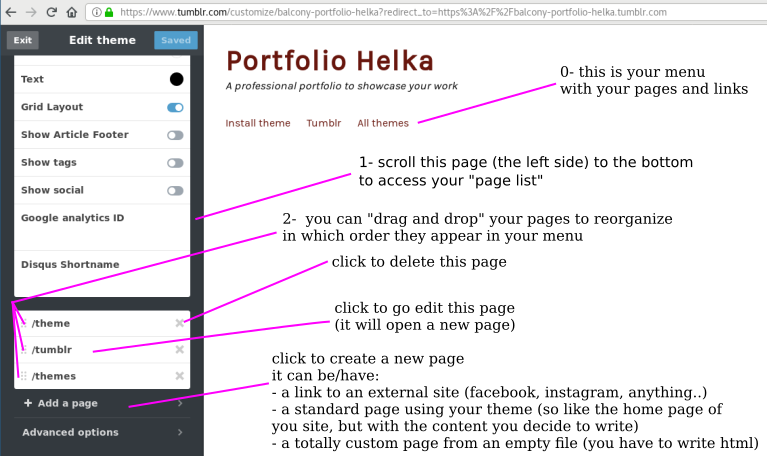 In the top right of your Tumblr blog, click “Edit Appeareace” menu icon, to customize your site. Scroll to the bottom of the menu on the left. Now click on “+ Add a page”. Read the following answers to find out what are the differences, and how to use, these different pages. 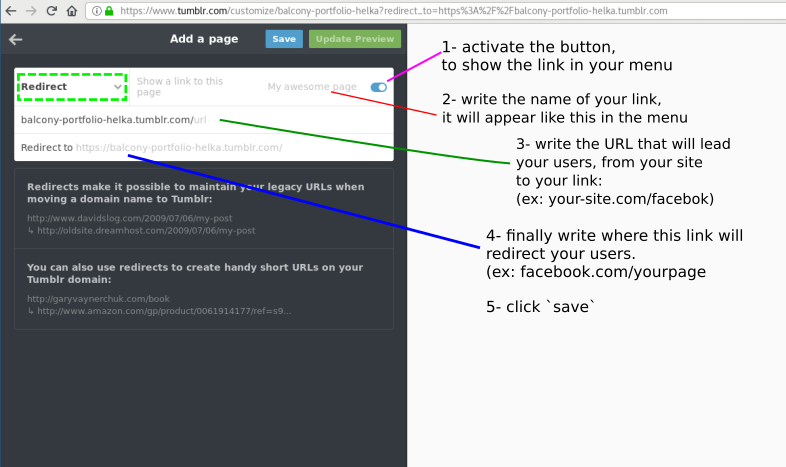 You will use this type of page if you would like to make a link in your menu to an external site. It can be Facebook, Instagram, Soundcloud, Google Map, anything that you can link to! In the image bellow, we create links (line in pink), between what you write on the left and how it appears on the right your final page. You will have to do the same as for other page types, but it will require you to write code (html,css, javscript). If you want to learn,, we recommand you to use Codecademy. You can learn how to be independant in a couple of days, honestly!